New USA Defence and Land Forces Attache Hands Colonel Branislav Anocic with the "Legion of Merits"
Home » INFO » Events » New USA Defence and Land Forces Attache Hands Colonel Branislav Anocic with the "Legion of Merits"
On Tuesday, July 6, 2010, in the cabinet of the Deputy Director of the MIA, the Colonel in the Armed Forces of Serbia, Branislav Anocic was awarded with the Decoration for Officers by the President of the United States of America, the "Legion of Merits". 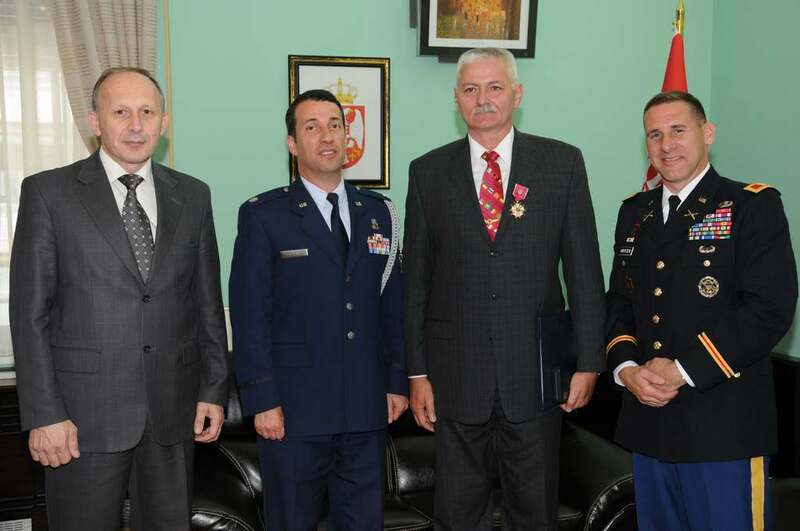 The decoration was awarded to Colonel Anocic in the presence of the Acting Director of the MIA, Brigadier General Dragan Vladisavljevic and his associates, the former USA Defence and Land Forces Attache in Belgrade, Lieutenant Colonel John Cappello, by Colonel Paul Brotzen, the new USA Defence and Land Forces Attache in Belgrade. 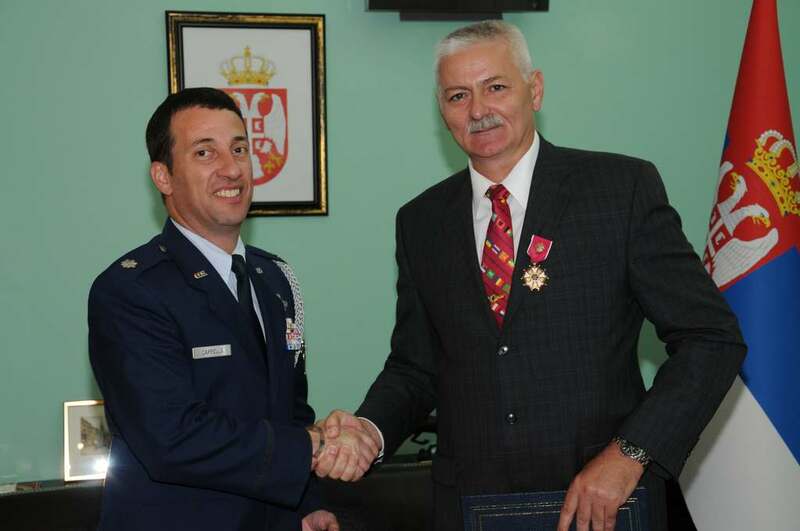 Colonel Branislav Anocic received this high decoration for his exceptional merits while in service, as the Serbian Defence, Naval and Air Force Attache in the USA, from October 2005 to April 2009. 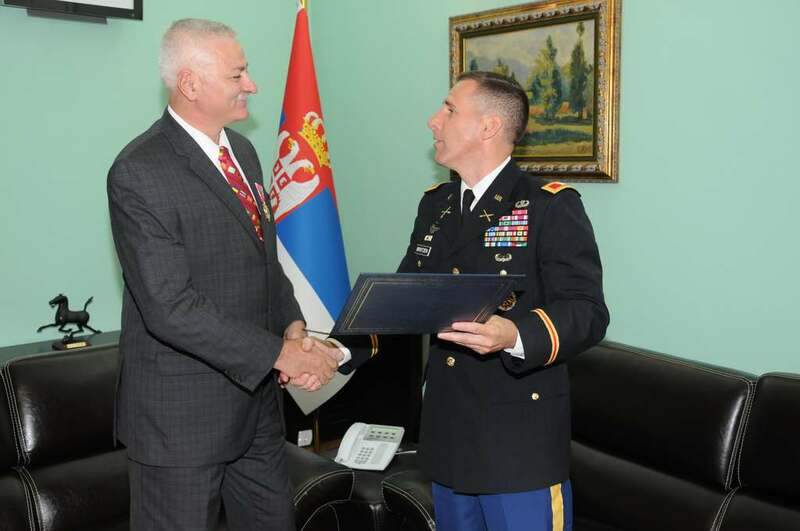 Through his professionalism and committment, he established the basis for enhancing the military cooperation between the two countries and the friendship between the USA and the Republic of Serbia. 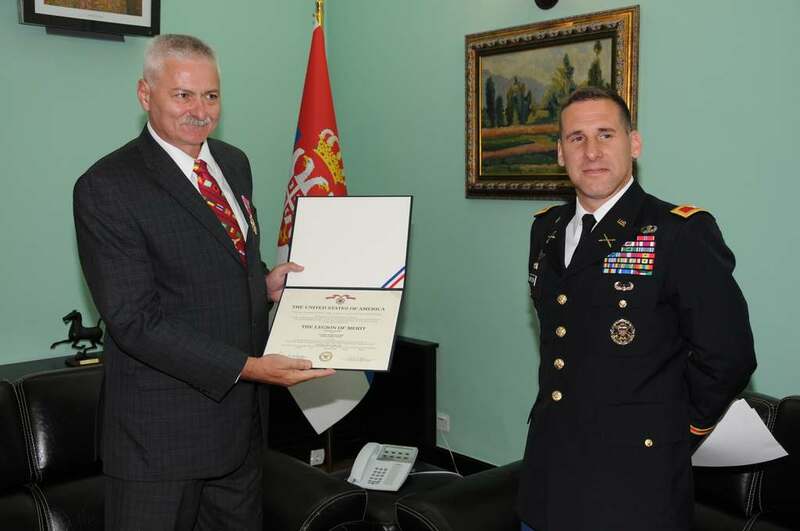 The American party stressed that "exceptional efforts, excellent management and personal initiative of Colonel Anocic represent his own benefit, the benefit of the Armed Forces of Serbia and of his country". 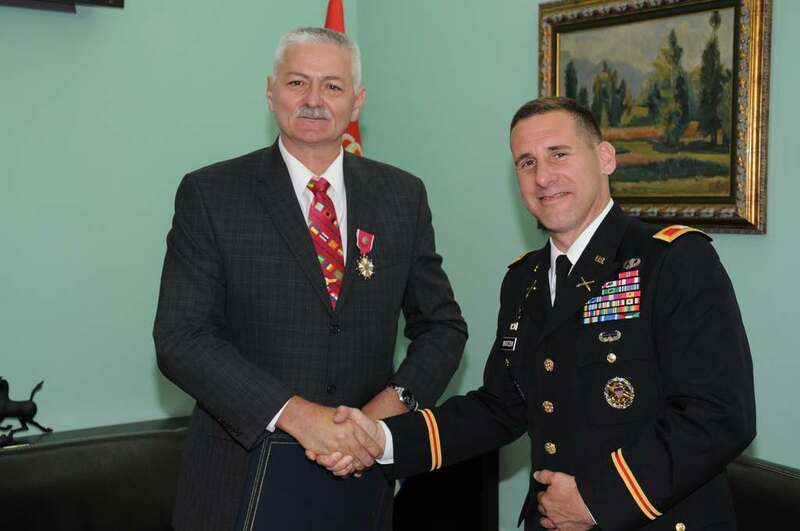 INFO Events New USA Defence and Land Forces Attache Hands Colonel Branislav Anocic with the "Legion of Merits"